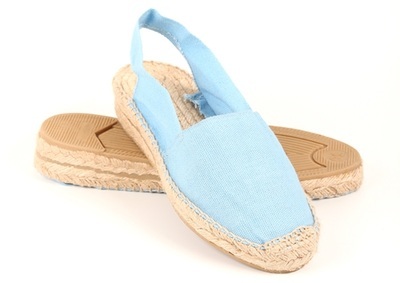 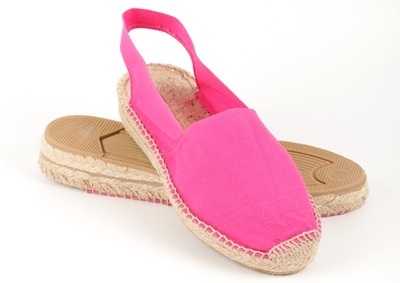 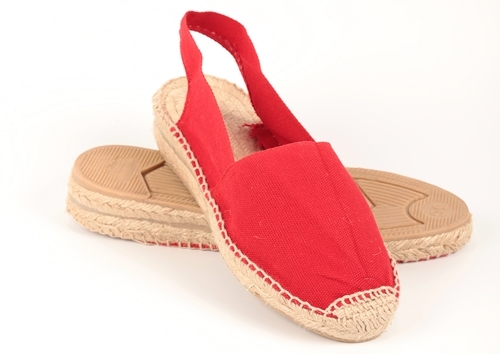 Classic low wedge (3 cm) heeled espadrilles are the perfect blend of style and comfort. 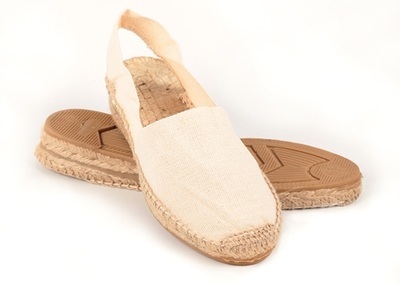 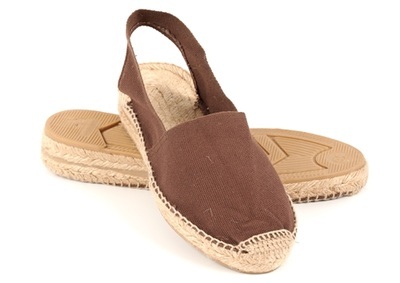 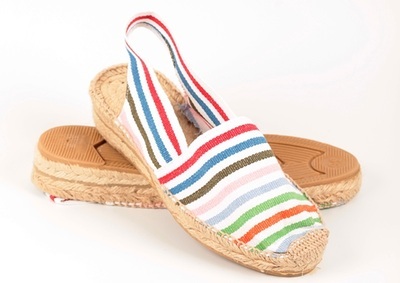 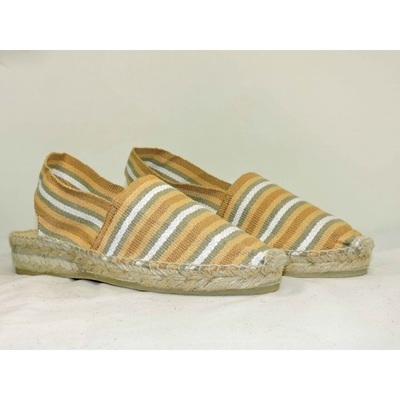 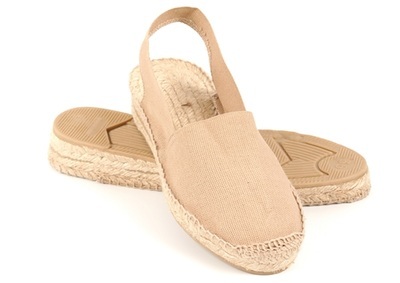 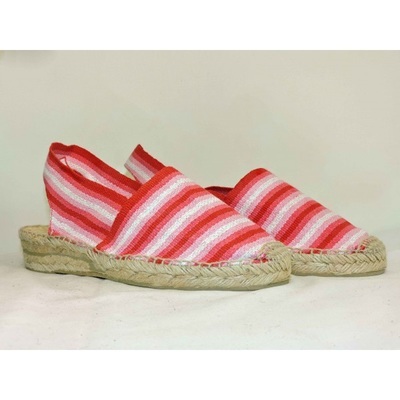 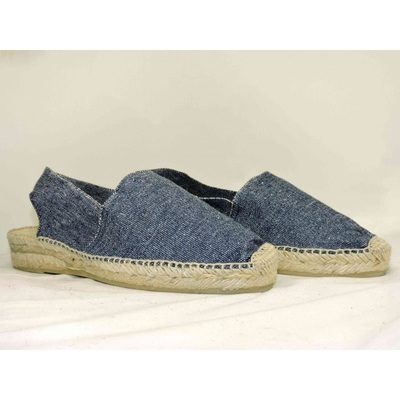 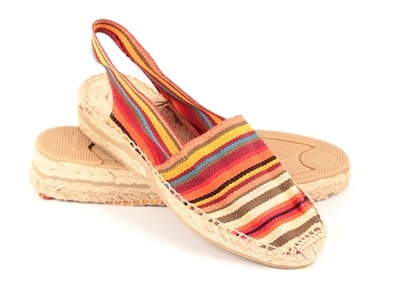 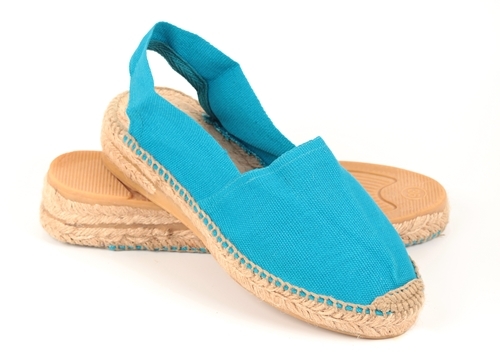 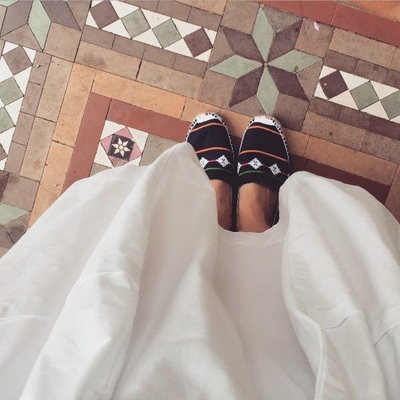 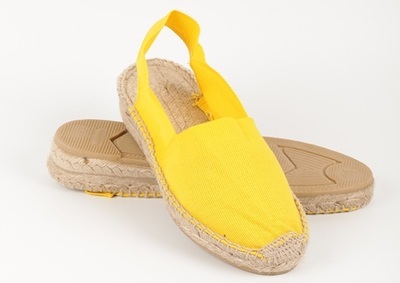 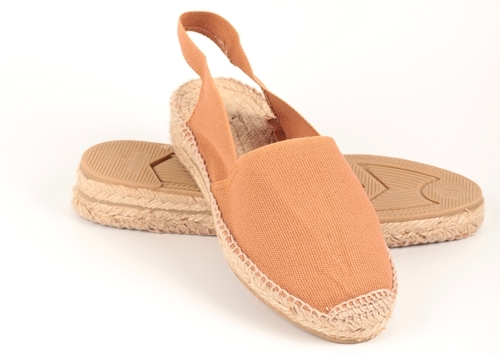 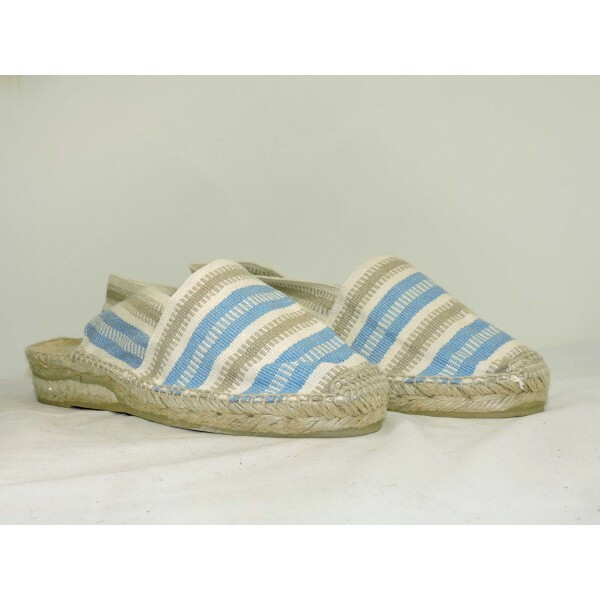 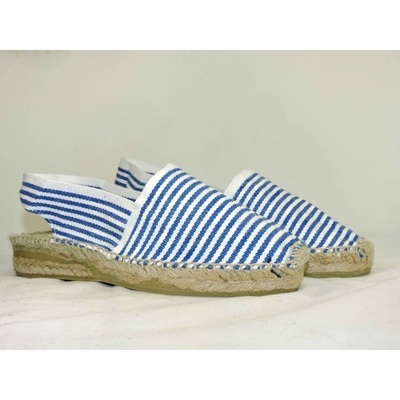 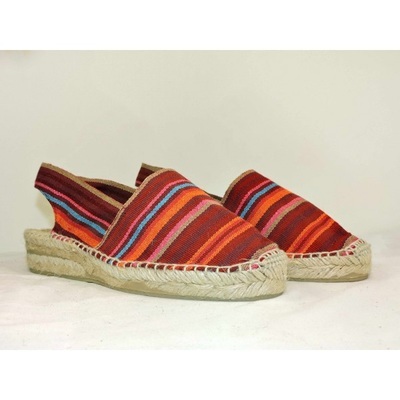 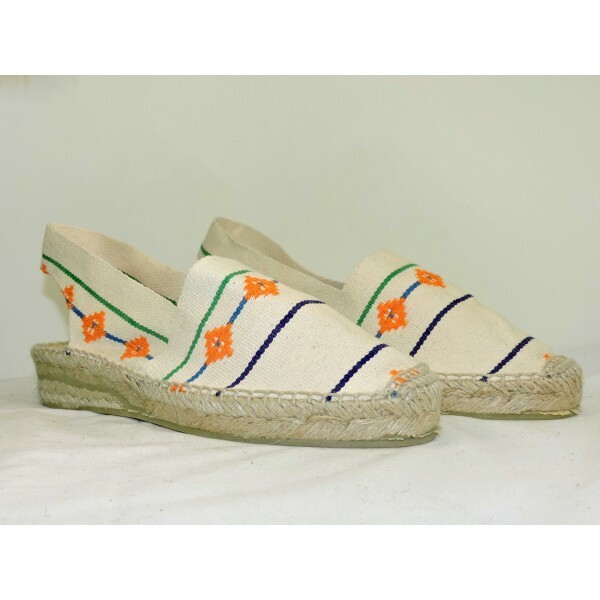 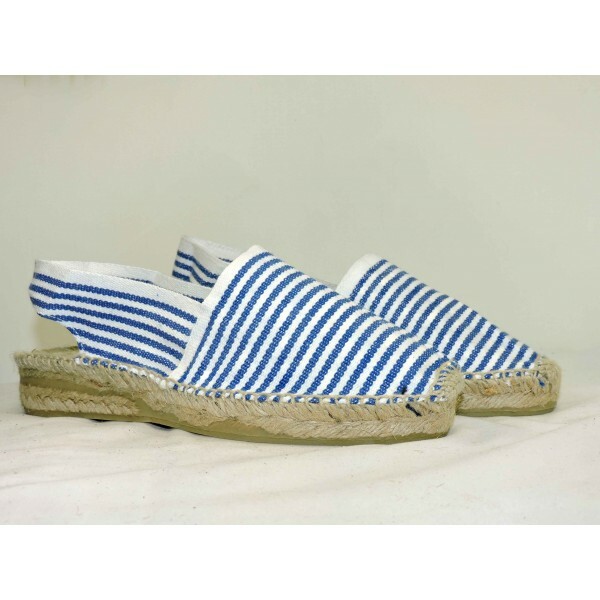 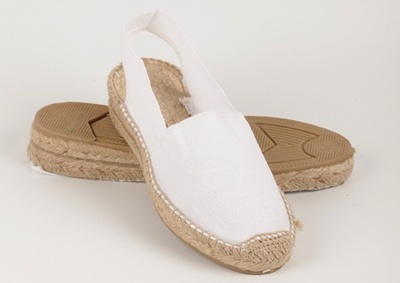 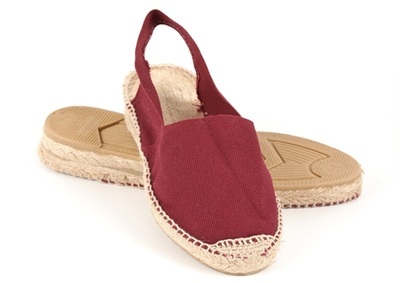 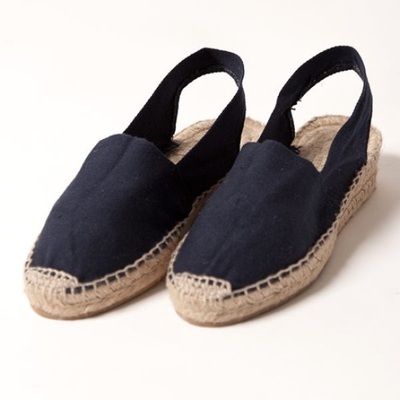 These espadrilles have a slightly rised rope (jute) sole that conforms to each individuals feet and a colourful Cotton top with a back strap and closed toe for a snug fit. 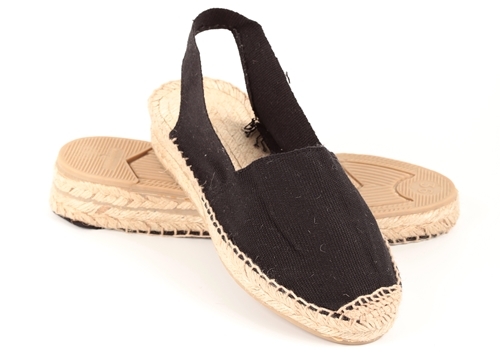 These Espadrilles are perfect for long days on the go. 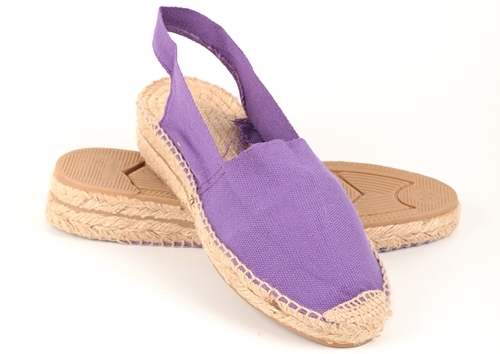 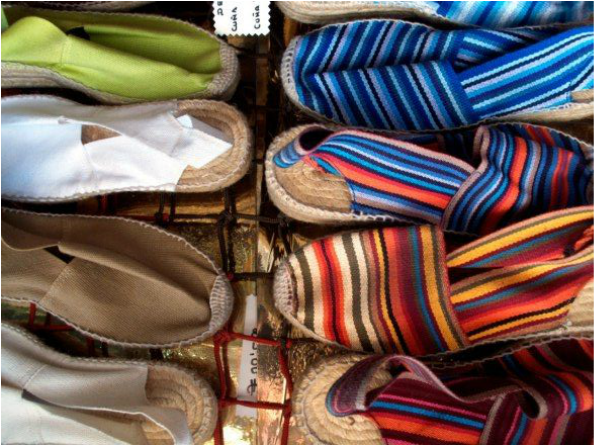 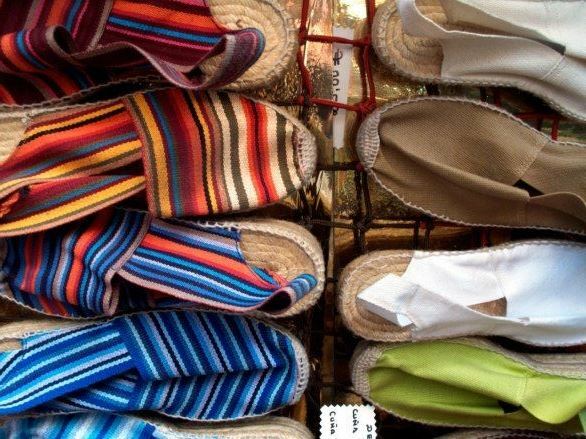 Espadrilles of all types are a very comfortable, colourful footwear. 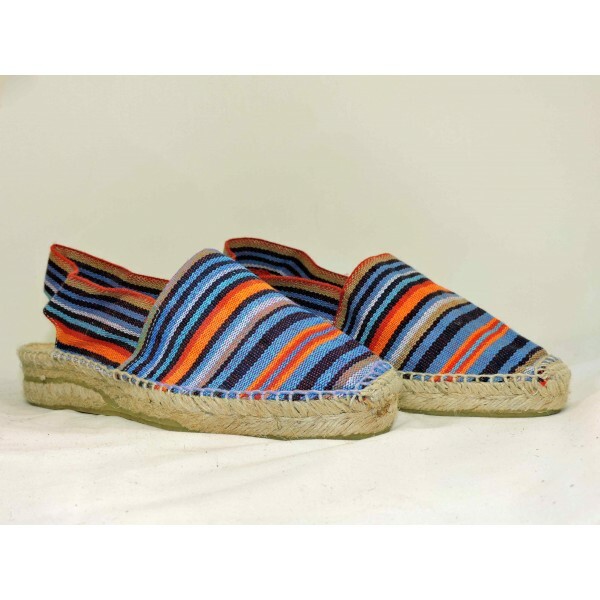 ​white, natural, sand, yellow, orange, red, pink, fucshia, lilac, purple, burgundy, baby blue, turquoise, navy blue, pistachio, green, khaki, camel brown, black, rainbow stripes and red stripes. ​navy-style, blue-beige, pistachio, petroleum, France blue, navy diamonds, natural diamonds, fucshia, khaki, burgundy, black, beige and turquoise stripes.